Hemet officials are testing a plan that will allow senior care facilities to call for medical help without dialing 911 – and triggering the full fire department emergency response that comes with it. A pilot program that launched Nov. 1, will allow residents and staff of three senior care facilities – Manor Care, Citrus Court and Devonshire Care – to call a seven-digit number when non-emergency medical assistance is needed, Hemet Fire Chief Scott Brown said Friday, Oct. 16. The goal is to save firefighters from dealing with non-emergency calls so they will be available to focus on emergencies, Brown said. When the number is called, a specially trained dispatcher will be reached who can help assess the situation. 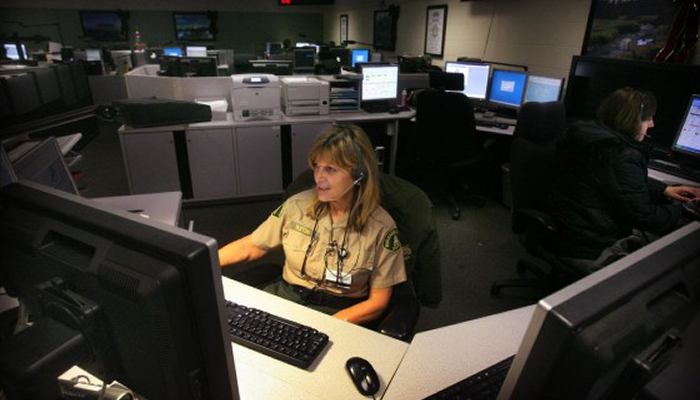 If the call turns out to be an emergency, dispatch will treat the situation as a 911 call. If it’s not, the necessary resources will be sent out, the chief said. Chances are, Brown said, the dispatcher will send out fewer people than if the caller had dialed 911. When someone calls 911 now, the nearest fire crew will respond regardless of the type of incident, and a lot of the incidents at senior care facilities turn out to be non-emergencies, he said. “This could be a lift assist, this could be a fall, this could be a medical transport,” Brown said.